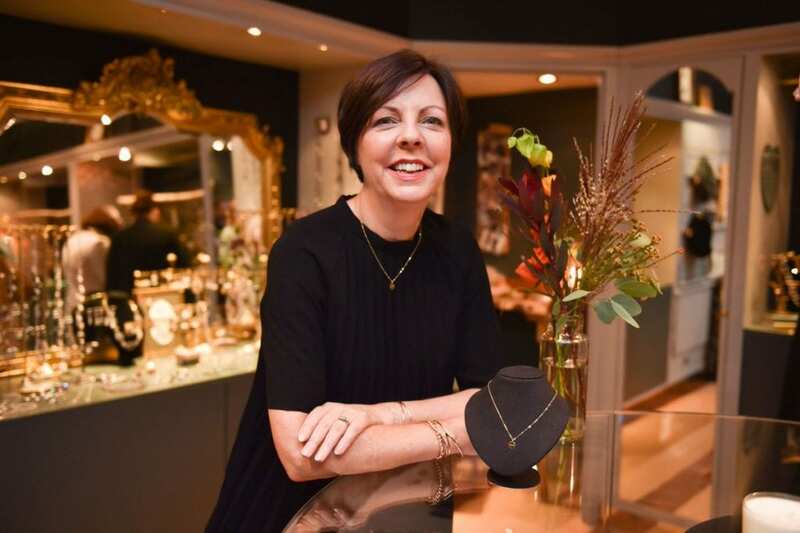 Irish jewellery designer, MoMuse, in the Powerscourt Townhouse Centre have proudly unveiled the Hope pendant and a new limited edition piece, the leather Hope keyring. 100% of proceeds generated from each piece will be donated to Irish suicide and self-harm prevention charity Pieta House, to aid in its efforts to help people feel hopeful about the future, while continuing to tackle the grave issue of suicide and self-harm in Ireland today. MoMuse have made us all proud and we highly recommend the pendant and keyring as the perfect Christmas gift this year. 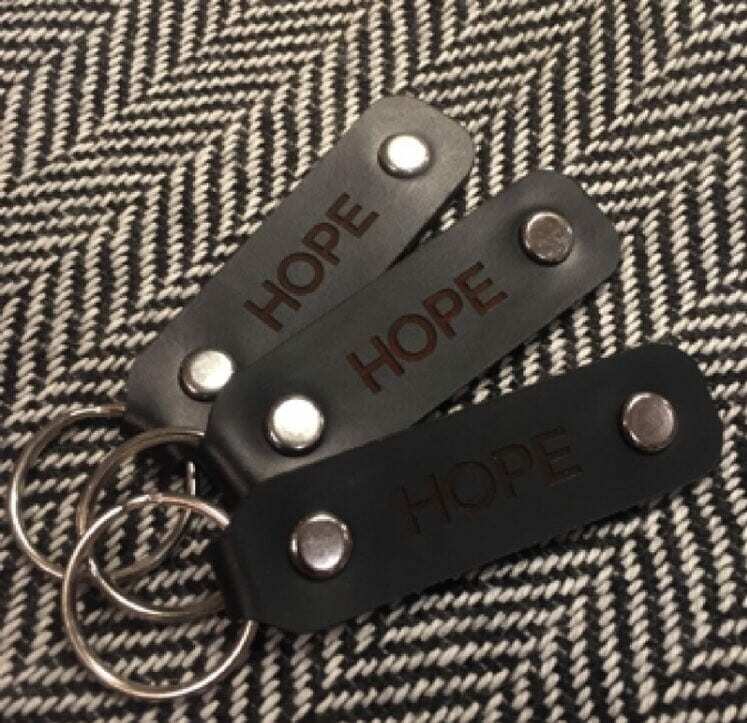 Made in Ireland with 100% real leather, the classic new keyring from MoMuse is engraved with the simple message of Hope, so that everyone can carry the power of hope with them at all times. This key message of Hope is the backbone of everything Pieta House does, striving to achieve their vision of a world where suicide, self-harm and stigma have been replaced by hope, self-care and acceptance. 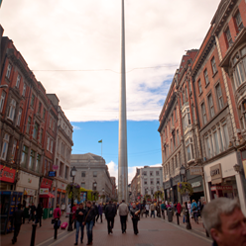 Pieta House support people and communities in crisis by providing freely accessible services to all. Inspired by this message, in September 2015, MoMuse founder and designer, Margaret O’Rourke introduced a very special limited edition gold Hope pendant in support of Pieta House. Thanks to the overwhelming support of the public, with purchases from home soil and as far afield as Australia, the Hope pendant sold out in just four weeks, resulting in over €18,265.00 funds being raised for Pieta House. 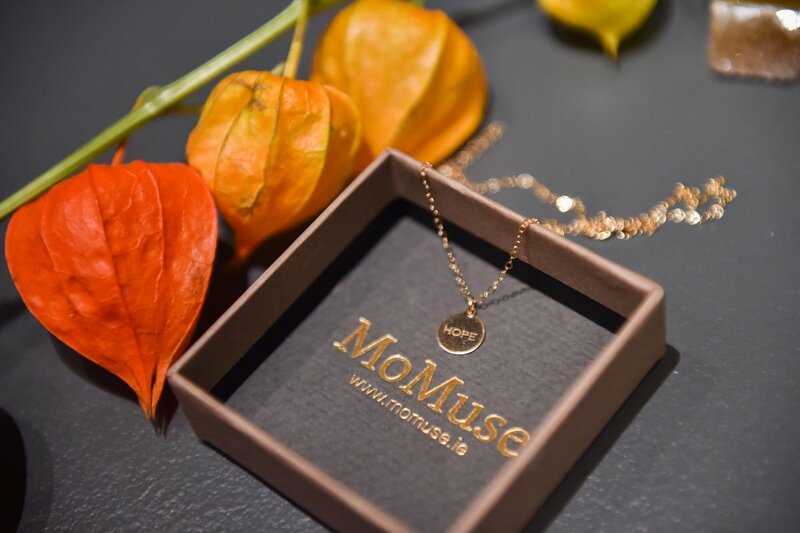 MoMuse is delighted to announce the return of the Hope pendant for a limited period of time, again with 100% proceeds going to the good work of Pieta House. Carefully considered and thoughtfully designed, the beautiful leather Hope keyring and gold-filled Hope pendant from MoMuse are limited edition designs that will be cherished for a lifetime. Hand finished with love and care by Margaret O’Rourke, the Hope pendant retails at €65.00 and the Hope keyring retails at €25.00, with 100% of proceeds donated to Pieta House. The Hope pendant and keyring are available in store in MoMuse, Ground Floor, Powerscourt Town Centre and online.